UK Oil & Gas PLC (London AIM: UKOG), the largest onshore licence acreage holder in Weald Basin, is pleased to announce that, following the successful production testing and declaration of Portland commercial viability at its Horse Hill oil field (in which the Company holds a 46.735% interest), the Company has now completed a strategic review of its asset portfolio and finalised forward plans to drill up to nine production, appraisal and exploration wells during 2019 and 2020. The plan’s initial focus is to move Horse Hill’s ongoing test-based oil production into permanent production by the end of 2019 via two new horizontal production wells. As previously reported, the Portland production target of 720-1,080 barrels of oil per day (“bopd”) from the first horizontal well, which has been externally verified as a realistic and viable expectation by Xodus Group Ltd (“Xodus”), is designed to position Horse Hill as the Weald Basin’s leading oil producing companies. Subsequent horizontal wells in 2020 are designed to boost gross production to over 2,000 bopd, potentially placing UKOG within the top three oil producing companies in the UK onshore sector. Next year, the plan aims to convert around 15.6 million barrels (“mmbbl”) of the Company’s net discovered conventional recoverable resources (or “Contingent Resources”) into Reserves. Consequently, the programme includes the drilling and long term testing of an appraisal well in the PEDL331 Arreton oil discovery (UKOG 95% interest), where the majority of the company’s currently assessed Contingent Resources lie, together with appraisals in the PEDL234 Godley Bridge gas discovery and Broadford Bridge oil discovery (UKOG 100%). Further Portland and Kimmeridge exploration wells at PEDL331 Arreton South and at a third site in PEDL234 are also planned later in 2020. A Gantt chart summarising the programme is available on UKOG’s website www.ukogplc.com. Further details are summarised below. · The Company’s primary 2019 operational goal will be to deliver continuous oil production from Horse Hill via continued extended well testing (“EWT”) of Horse Hill-1 (“HH-1”) and by the drilling and production testing of two horizontal wells, HH-1z and HH-2, both planned to start in spring 2019. Planning consent and environmental permits are in place and UKOG is fully funded for both wells. · The first new horizontal well, HH-2, will target the Portland oil field, while the second, HH-1z, a horizontal sidetrack of HH-1, will target the combined 358 ft thick Kimmeridge Limestone 3 (“KL3”) and KL4 oil pool, currently on sustained test production from the HH-1 wellbore. · Utilising the reported flow rates from the current HH-1 vertical wellbore’s EWT campaign, both HH-1z and HH-2 each have targets of initial sustained daily horizontal well rates of 720-1,080 bopd. These targets are deemed by the Company’s 3rd party reserve auditor and principal reservoir engineering advisor, Xodus, to be viable and realistic, conforming with the established petroleum engineering benchmark that an optimally placed horizontal well within a reservoir with reasonable vertical permeability can be expected to deliver 2 to 3 times the flow rate of a vertical wellbore from the same reservoir. · Further horizontal production wells and a water reinjection well are planned to be drilled in early 2020 following the grant of regulatory approvals for permanent oil production, applications for which have been submitted. Permits to cover 20 years of production are expected to be in place by autumn 2019. · During winter 2019/20, the Company also aims to convert 14.9 mmbbl of its net unrisked Contingent Resources into Proven and Probable Reserves via the drilling and long term testing of an Arreton-3 (“A-3”) appraisal well within the Arreton Main oil discovery. · As reported in the Company’s July 2018 AIM re-admission document (available on the Company’s website), the Arreton oil discovery, a geological analogue of the Company’s Horse Hill Portland oil field (UKOG net 46.735%), contains three stacked Jurassic oil pools with an aggregate gross P50 oil in place (“OIP”) of 127 mmbbl, over four times larger than the 30 mmbbl P50 OIP of the Horse Hill Portland oil field. · An application to drill, core and test an A-3 pilot hole and horizontal wellbore is planned to be submitted to the Isle of Wight Council in the first quarter of 2019. Shortly afterwards, the Company also intends to submit a further planning application to drill, core and test the geological look-alike Arreton South prospect with operations planned to follow after A-3 testing. · As per UKOG’s 2018 AIM re-admission document, the Arreton South prospect contains a gross Portland P50 OIP of 55 mmbbl, almost twice the Horse Hill Portland field’s P50 OIP. The Directors believe that further significant OIP potential, as per Arreton Main, lies within the underlying Jurassic Inferior Oolite reservoir. · The Company intends to submit a planning application to Surrey County Council by spring 2019, to drill, core and test the Godley Bridge Portland gas discovery and the underlying Kimmeridge. The planned deviated well is located in the centre of the significant 50 km² Portland gas accumulation, which UKOG calculates to contain a gross P50 gas in place (“GIP”) of 56 billion cubic ft, of which around half lies within PEDL234. UKOG estimates that expected gas recoveries fall in the range of 50-80% of GIP. · The Kimmeridge objectives underlying the Portland gas discovery fall within the largest untested Kimmeridge geological structure in the Weald Basin, being approximately twice the size of the Horse Hill structure containing the productive HH-1 Kimmeridge oil field. · Following completion of the Godley Bridge appraisal well, the Company plans to return to its Broadford Bridge Kimmeridge oil discovery to drill and test a BB-1y Kimmeridge sidetrack. · A further Kimmeridge exploration well, situated in a third site between Godley Bridge and Broadford Bridge, is also planned in late 2020. As a result of the strategic review, the Company has also decided that no further investment will be made at its wholly owned PEDL126 Markwells Wood asset. The project’s technical and regulatory risks are considered to far outweigh the modest success case potential, particularly when compared with the robust metrics of UKOG’s other Kimmeridge and Portland projects. Consequently, the Markwells Wood-1 well has been plugged and abandoned. 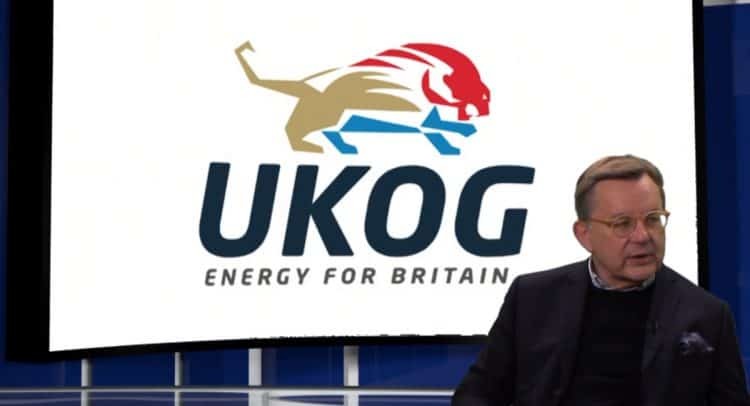 “If successful, this comprehensive plan aims to add significant value to the Company and shareholders via transforming UKOG from an exploration and appraisal company into a fully-fledged producing oil company by the end of 2019. By attaining the stated production targets, which have been independently verified as viable and realistic by Xodus, the resultant success case daily 2019 production could establish Horse Hill as the largest single oil producing field in the Weald Basin. In addition, during 2020, two potentially high-impact appraisal wells and production tests at Arreton in the Isle of Wight, Godley Bridge in PEDL234 and the Arreton South exploration well, are planned to test the largest identified undeveloped oil and gas assets in the UK onshore. each contain 3rd party calculated hydrocarbon in place volumes that are significantly larger than the Horse Hill Portland field’s 30 mmbbl, a very significant prize and potential step-change growth opportunity for UKOG. The Directors believe that the Arreton appraisal well alone has a realistic expectation of creating significant value via the addition of around 15 million barrels of Reserves. Rob Wallace, UKOG’s principal technical advisor, who has over 40 years of relevant experience in the oil industry, has approved the information contained in this announcement. Mr Wallace is a Chartered Scientist, Chartered Geologist and Fellow of the Geological Society of London, an active member of the American Association of Petroleum Geologists, a member of the Petroleum Exploration Society of Great Britain and a member of the South African Geophysical Society.